Estive esperando o aparecimento desse livro de Rita Carter sobre o cérebro por dois anos, desde que sua publicação originou comentários elogiosos por toda parte. Aqui está ele (mas não faço a menor idéia sobre onde arrumar o vídeo que o acompanha). De lambuja, o livro de Hanna Damasio, esposa do homem (mas com vida científica prá lá de própria), de imagens cerebrais. The Human Brain Book is a complete guide to the one organ in the body that makes each of us what we are - unique individuals. 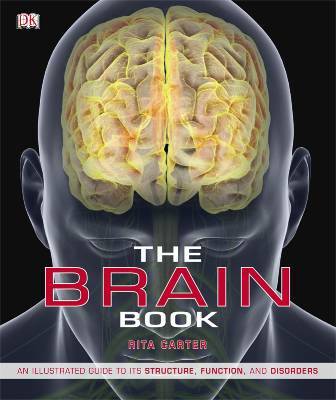 It combines the latest findings from the field of neuroscience with expert text and state-of-the-art illustrations and imaging techniques to provide an incomparable insight into every facet of the brain. Layer by layer, it reveals the fascinating details of this remarkable structure, covering all the key anatomy and delving into the inner workings of the mind, unlocking its many mysteries, and helping you to understand what's going on in those millions of little gray and white cells. Tricky concepts are illustrated and explained with clarity and precision, as The Human Brain Book looks at how the brain sends messages to the rest of the body, how we think and feel, how we perform unconscious actions (for example breathing), explores the nature of genius, asks why we behave the way we do, explains how we see and hear things, and how and why we dream. Physical and psychological disorders affecting the brain and nervous system are clearly illustrated and summarized in easy-to-understand terms. The unique DVD brings the subject to life with interactive elements. These include a clickable model of the brain's structure that allows the user to zoom in and discover deeper layers of detail, while complex processes, such as the journey of a nerve impulse, are broken down and simplified through intuitive animations. Segunda edição (a primeira é de 1995) inteiramente revisada e com novas fotografias de espécimens cerebrais também novos. A qualidade das ilustrações não chega nem aos pés do livro de Carter, e é essencialmente um livro didático. Modern tomographic scans are revealing the structure of the human brain in unprecedented detail. This spectator progress, however, poses a critical problem for neuroscientists and practitioners of brain-related professions: how to find their way in the current tomographic images so as to identify a particular brain site, be it normal or damaged by disease? The problem is made all the more difficult by the large degree of individual neuroanatomical variation. Prepared by a leading expert in advanced brain-imaging techniques, this unique atlas is a guide to the localization of brain structures that illustrates the wide range of neuranatomical variation. It is based on the analysis of 29 normal brain obtained from three-dimensional reconstructions of magnetic resonance scans of living persons. It also provides 177 section (coronal, axial, and parasagital) of one of those brains so that the same structure presented in the section obtained in one incidence can be identified in the section of another incidence. An additional 209 sections of two incidences of two other brains with different overall configurations are included at the same incidences, so that readers can become familiar with the variability of standard images prompted by different skull shapes. Forty-six normal brains, segmented in to the major lobes, are also included. The atlas is based on a voxel-rendering technique developed in the author's laboratory that permits the reconstruction of the brain in three dimensions. The technique permits the identification of major sulci and gyri with about the same degree of precision that can be achieved at the autopsy table. The volume contains 50 pages of color illustrations. The Second Edition of this atlas offers entirely new images, all from new brain specimens. Like the first edition, it will prove to be an essential tool for neurologists, neurosurgeons, neuroradiologists, psychiatrists, and neuroscientists, as well as medical and neuroscience students.